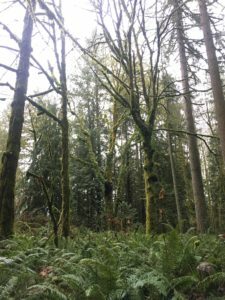 Each year as the temperatures begin to drop, the first snow falls from the sky, and plants shift from life to hibernation, I am overwhelmed with a bittersweet feeling of transition. As the seasons change and the final jobs are completed, I too begin to evolve into winter mode. With relief and pure exhaustion, the tools and leftover plants are safely tucked away from the upcoming cold. The communication lines begin to quiet, allowing time to reflect on the long, physically draining days, and accomplishments of the previous 7 months. Amidst the peaceful feeling of completion rests the question of what’s next? 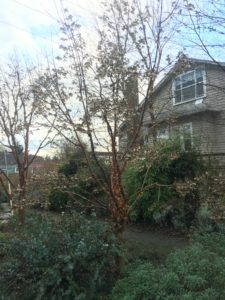 How will I spend my winter dormancy? In preceding winter seasons you could find me on my snowboard most days before heading to a local restaurant to serve sushi to the masses. While I still enjoy the act of taking turns on my board, suffering a Traumatic Brain Injury four years ago and dealing with Post-Concussion Syndrome has limitedmy ability to participate in this activity. Craving a break from the service industry and the desire to stay motivated with the growth of Mountain Roots created the vision of a road trip with my dog, snowboard, and ambitions for exploration. One of the destinations of my trip was a place I used to call home. Seattle has consistently drawn me back to visit over the last several winters. The lush greenery and year-round plant interest bring a contrasting palette to the snow-covered spaces of a Summit County winter. 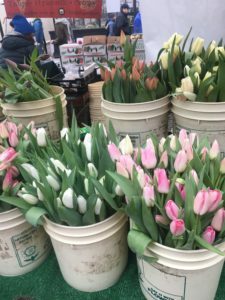 The markets full of locally grown fruits, vegetables, and cut flowers provide local restaurants, businesses, and residents a unique palette for varied recipes and creations. This place is diverse and full of different cultures, kind people, and opportunities for education in the industry. 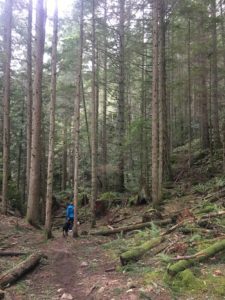 I spent almost three weeks in Washington State, exploring cities, rainforests, floral shops, garden centers, farms, and ski slopes. I studied the various residential and commercial landscapes in downtown Seattle and rural areas. I walked for miles identifying different trees, shrubs, flowers, and plants in different stages of winter interest. I experienced small and large local markets full of beautiful fruits, vegetables, and cut flowers. I had a perpetual question in my mind about transitioning these practices to Summit County life and adapting to our environment. How can we develop a similar mindset in our unique setting? A constant intention in my own life is to support seasonal and local whenever feasible. By taking advantage of regional contributions your money stays in the community and local companies blossom. Backing local growers and producers encourages the growth and expansion of these offerings. The local workforce also advances, allowing more people to participate in our wonderful community. 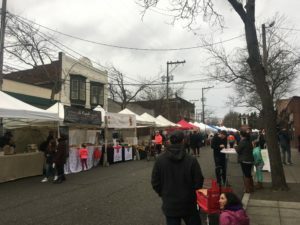 Local farmer’s markets occur year-round and all over the Pacific Northwest — in cities small and large, ranging from big events closing down streets, to small farm stands right next to the fields where the crops were grown. This region has a couple obvious factors (directly related to growing crops) that are much different than Colorado. A longer growing season with higher rainfall provide a great climate perfect for growing fruit trees, cut flowers, and a wide variety of vegetables. In the winter, cold-season crops can fill in harvest voids. 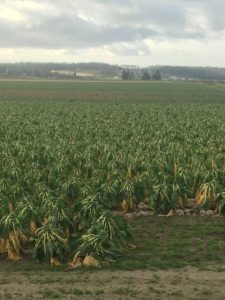 While exploring farmland in January, close to Bellingham, Washington, I stopped in awe, observing a large Brussel Sprout field. 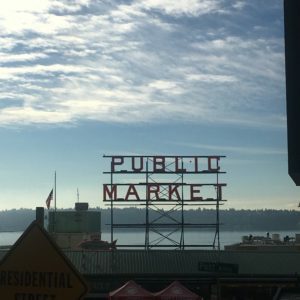 One of the most famous establishments in the area is the Pike’s Place Market in Seattle. Located downtown, the market is directly in the middle of most of the tourist destinations. Shopping, tours, restaurants, aquariums, ferries and fishing boats are all accessible within walking distance to the market. While the market provides a certain level of entertainment, and the ability to purchase souvenirs for travelers from around the globe, to me it portrays a much stronger message and culture I would love to spread to Colorado. We took full advantage of the local, seasonal products, purchasing fresh pasta, fish, vegetables, cut flowers, and fruit. Join the waitlist for 2020 NOW, you will not regret it! 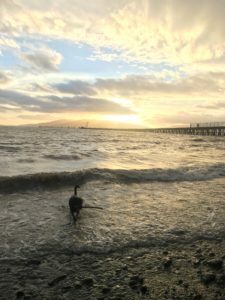 During my time in Washington State, my trusted four-legged companion (Mr. Blackpants, aka BP) and I explored for miles, documenting residential and commercial landscape design, comparing and contrasting to our particular mountain setting. 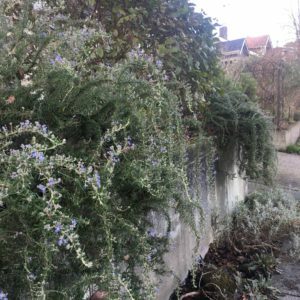 I was enchanted by the crafty use of space in and around the city, and inspired by the creative mix of plants, rocks, pavers, and features of each landscape. There was a clear lack of turf, an abundance of local flora, and a vast amount of space reserved for growing food. 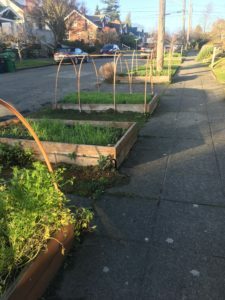 Raised beds, container gardens, and neighborhood community-style-shared vegetable gardens were all over the city, even showing signs of life in the winter months. Difficult or unused spaces in the landscape became a location for contributing to bountiful harvests for families. Restaurants and bars also got creative, offering seasonal and local produce or growing their own on location. It was clear that growing food and understanding the climate was a priority for the locals in Washington. How can we adapt this lifestyle here in Summit County? Create a shared-style garden with your neighbors to help with the work and enjoy the harvest together! Short on space or knowledge about veggie gardens? 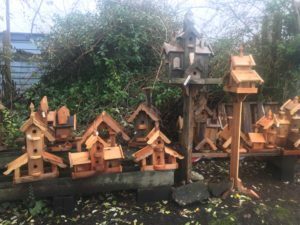 Join a community garden and rent a plot! There are 4 different locations in Summit. Washington State is notorious for its gray, gloomy, rainy, overcast weather. Often, people speak about the lack of sunshine and bleak atmosphere in the winter. While it’s true that spending time at coffee shops and Vietnamese Pho noodle restaurants is recommended when in the area, getting outside and enjoying the local flora and surroundings is highly encouraged! There was never a lack of participants (2- and 4-legged) at our favorite walking trails around town. 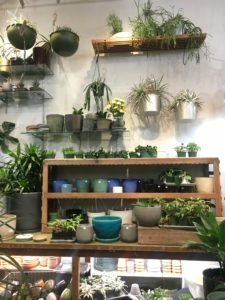 Contrasting textures, shades of greenery, and various specimens can be found climbing up trees in the city, enchanting passersby from local restaurants, and even adorning the Seattle Public Library, a beautiful 11-story building made of glass and steel. 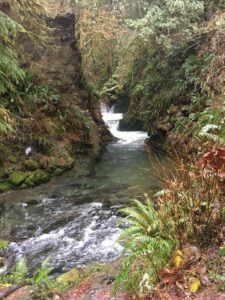 Several hidden hiking gems containing forests, meadows, beaches, arboretums, rivers, and waterfalls are accessible throughout the city. 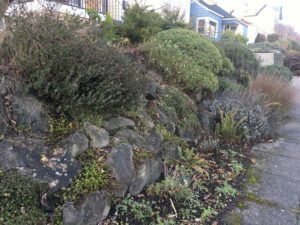 Despite the supposed ‘bleak’ weather, trees, shrubs, vines, flowers, and houseplants are prolific in the Pacific Northwest, and enjoyed throughout the year. Research has shown that people who participate in nature activities live longer, healthier lives. People receiving treatment for mental illnesses like depression and anxiety can improve spending time outdoors. Plants and gardening are proven to provide health benefits, both physical and mental. There is a bounty of outdoor activities in Summit County available right outside our doors. Literally. Residents are fortunate to receive more Vitamain D than most. While the recommendation to get outside may seem effortless for most, here are a couple new propositions to benefit your overall health. Join a club or try a new outdoor sport. Summit County has a vast amount of options for hiking, biking, running, sailing, camping, skiing, outdoor yoga….the list is endless. Invite a friend or make some new ones! Use public or alternative transportation. 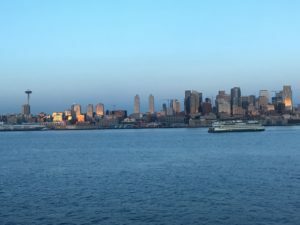 Seattle is blessed with a Light Rail, Monorail, busses, ferries and streetcars for transit. 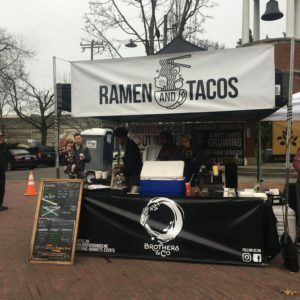 Ride your bike or walk to work, dinner, or for fun! The Summit Stage Bus is FREE! Create an indoor garden in winter to enjoy year-round! 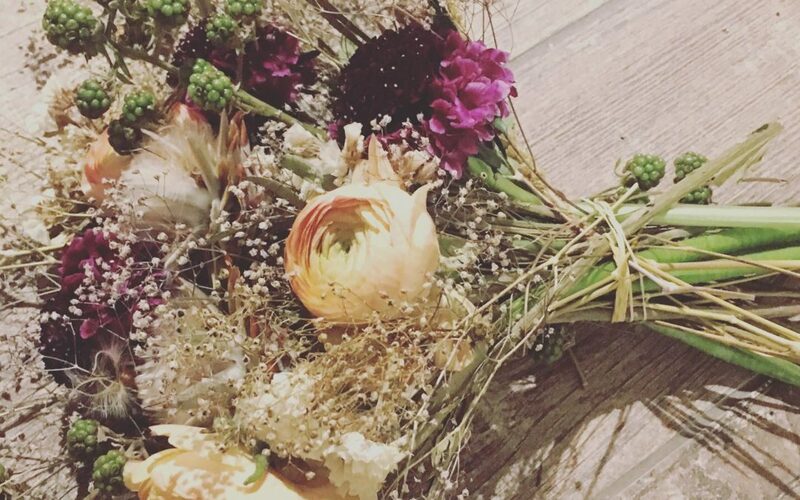 Houseplants and cut flowers have many benefits, improving air quality and overall happiness! 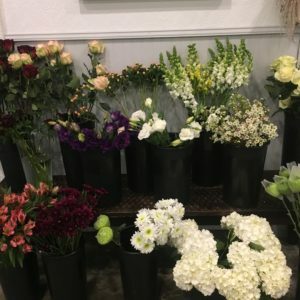 Purchase new houseplants and order local floral arrangements! Bring some life inside during the dreary months! Volunteer!There are boundless options in the county to help out. Some of my favorites include the Summit County Animal Shelter, High Country Conservation Center, Mountain Mentors, SOS Outreach, Breckenridge Outdoor Education Center, and the Keystone Science School. Participate in a Town Cleanup Day in Spring. This is a great Volunteer Event to start the summer season and keep our community looking great! 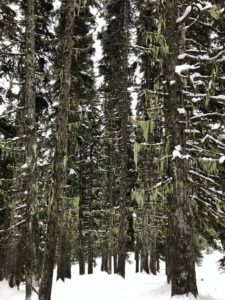 As I reflect on my 6 weeks on the road this winter, my time in Washington State and the Pacific Northwest play a considerable role in the catalyst for inspiration for Mountain Roots and my own personal journey. 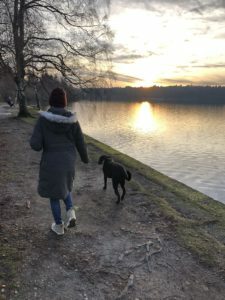 I am forever indebted to the memories I created simply by self-seeking and exploring the local areas with my furry companion, contributing to my winter growth. 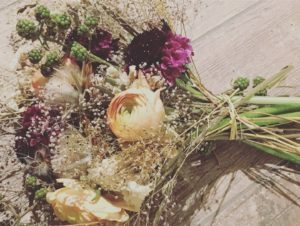 The simple joy of hand-picking fresh-cut flowers from a street side market and spending hours forming various arrangements inspires me to continue establishing this option in Summit County. 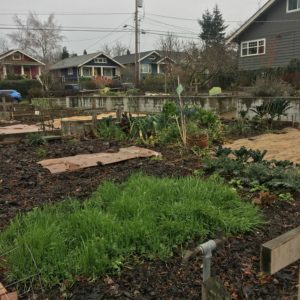 Observing the vast quantities of local neighborhood community gardens reassures me that no matter where you live you can participate in growing food for the future. This season my goals include a larger cut-flower growing operation to offer for wedding and botanic décor services right from my garden. I also hope to get back on my mountain bike, one of my first devotions from childhood, eliminated from my routine after my TBI. I also hope to expand my volunteer efforts, spending time with more kids as a Mountain Mentor, and pursuing the recruitment of Mr. Blackpants’ services as a Hospital Service Dog. What ambitions can you commit to this season?